Young people have a place to go in Greensburg. There’s never a quiet moment in White Rabbit Cafe and Patisserie, or their basement storefront Rabbit Hole Records. Between the two locations, co-owners Tommy Medley and Amber Kunselman work six days a week. Tommy Medley, co-owner of White Rabbit Cafe and Rabbit Hole Records. “It’s a small price to pay for self-actualization,” Medley said in an interview. “We provide a study space, a hangout space, as well as a grab-and-go coffee experience,” he said of White Rabbit. 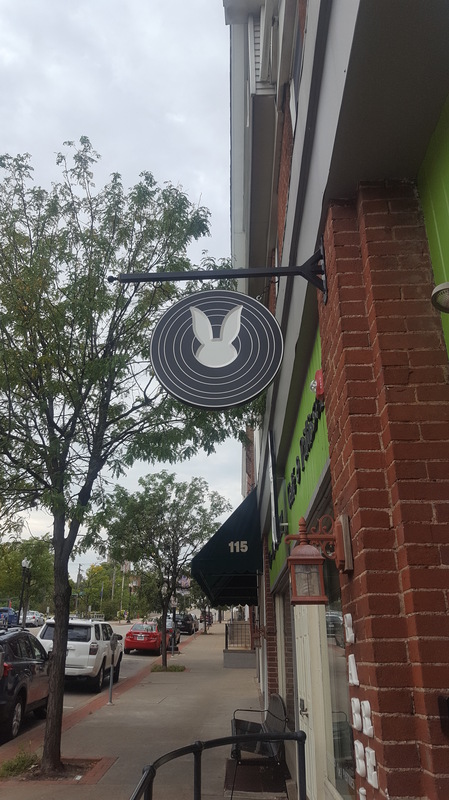 Rabbit Hole Records offers a different sort of space. Formerly the basement storage room for the cafe, it now houses ten thousand records at any given time. Medley said his personal collection amounts to 600 records. 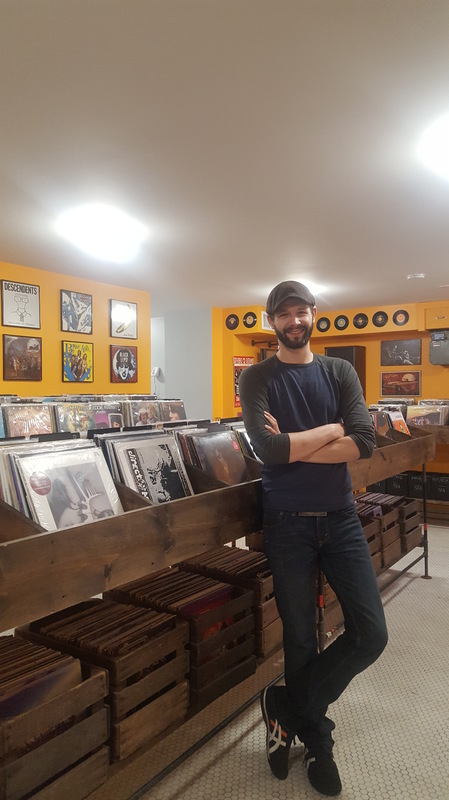 When he and Kunselman opened Rabbit Hole last November, it was the only record store in a 30-mile radius. When asked if he had a favorite record in the store, Medley didn’t hesitate. “We had an original 1958 press of Miles Davis’ Kinda Blue. There was a $200 price tag on it. I was really sad to see that go, actually. “I’m such a fat kid. I go to the gym just so I can not look atrocious. I don’t go to get buff, I go so I can eat,” he said. 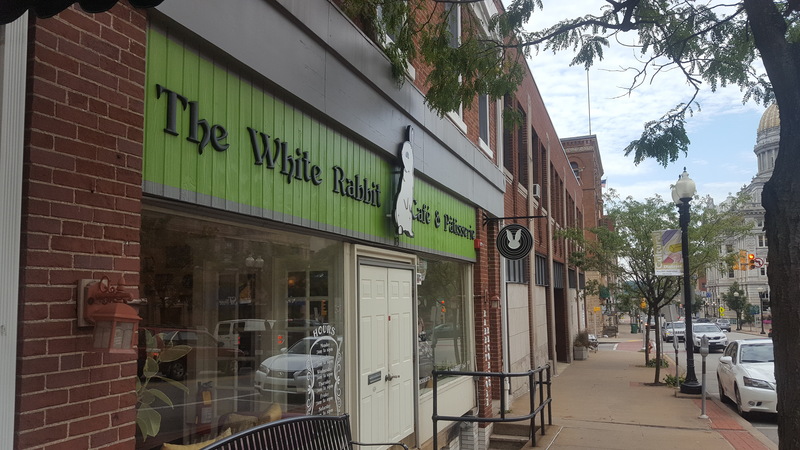 White Rabbit Cafe currently offers a 10% discount to Pitt-Greensburg students.